Dancin’, Dancin’, Dancin’!!!! 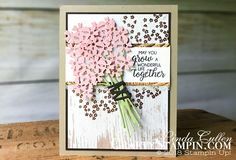 The new Stampin Up Occasions and Sale-a-Bration catalogs are just amazing! I haven’t stopped dancing since last week, as these catalogs are just so exciting. I can’t show you the inside of the catalog until January 2nd but grab a beverage, get comfy and get the next best thing as Tami and I take you through many of the new products and show samples from OnStage. Oh – and dance with me! 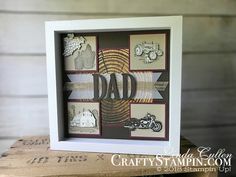 Join my Crafty Stampin Crew of hobby & career demonstrators and you’ll also get to be part of Tami’s Team Stamp It. It’s “double the pleasure, double the fun”!! If you join in November, you will be able to participate in the Demonstrator Occasions Catalog Pre-order and start earning Sale-a-Bration products starting on December 5th. Join in December and you can add Occasions Catalog product to your starter kit. You can join for the discount with no selling required. See all the details about joining ‘the crew’ here. But wait, there’s more…. Do you want to have your mouth drop too and get your hands on the new Occasions and Sale-a-Bration catalogs they soon as they become available? Pop over to my Catalog page and fill out my catalog request form and I’ll make sure you are on my mailing list! Fill out the below form to claim your prize!! ** Comments need to be on Facebook or YouTube to win….but comments on my blog are always welcome and appreciated! Upcoming Sale-a-bration Lasting Lily Stamp Set. I just Love your Show…you two are awesome! Thank you!